Learn Casino Hold'em strategy and beat the house at Poker in no time! Texas Hold’em Poker is no doubt one of the most popular card games out there. We play it with friends and family, colleagues, and random people online. But did you know you can also play Poker against a Casino and beat the dealer? That’s how Casino Hold’em game works. The main difference being that the game is played against the house rather than other Poker players. Making it possible to play the game in many Casinos around the world, including , too. A gentleman by the name of Stephen Au-Yeung is credited with inventing Casino Hold'em back in the late 1990s when he wanted to help his partner learn how to play Texas Hold’em. Casino Holdem rules, like most other Casino games, are simple and easy to learn as you play. Play begins with each player placing an ante wager. The dealer then gives the players and themselves two hole cards face down and deals three community cards face up. This is where knowing Casino Hold'em strategy comes in: each player needs to decide whether to fold or call. If the player opts to fold, they give up their hole cards and they lose the Ante bet. But if the player chooses to call, a call bet of twice the size of the ante bet is made. After the call bet is made, the dealer then deals two more community cards before turning over their hole cards. Casino Hold'em rules state that the dealer must have a pair of fours or better for their hand to qualify. Should the dealer not qualify, the player’s ante bet is paid out according to the ante paytable and the call bet is a push. If the dealer qualifies and beats the player, the player loses both their ante and call bets. The last possible outcome when playing Casino Hold'em online or in a land-based Casino is that the dealer qualifies and ties with the player. In this scenario, the ante and call bets push. And that is how to play Casino Hold'em in a nutshell. Like the majority of Casino table games, it is possible to place a side bet when playing Casino Hold'em in the form of the AA Bonus. The player places AA Bonus side bet and if they hold a pair of aces or better after the first three community cards are dealt, they win. A common payout table sees a pair of aces through to a straight pay 7 to 1, a flush 20 to 1, a full house 30 to 1, four-of-a-kind, 40 to 1, a straight flush 50 to 1, and a royal flush 100 to 1. But be sure to check the payout tables before you play anyway. There’s a catch, though. 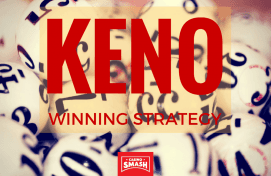 As with the majority of side bets, a solid Casino Poker strategy suggests you not placing one. Why? With the payouts listed above, it gives the Casino a 6.26 percent edge over a player. Due to the nature of the game, it is extremely difficult to pin down an optimal Casino Hold em strategy. But it is possible to use a Casino Hold'em calculator to assist your decision making. My advice? Run a number of different scenarios through Casino Hold’em calculator while learning. Or better yet, have one running in a separate browser window if you’re playing Casino Hold'em online. Most of Casino Hold'em calculators display the Expected Value (or EV) for any given situation. The EV of a fold is always -1.00 because you stand to lose your ante bet, whereas the EV of a raise (making a call bet) can range from negative (meaning you’ll lose on average) to positive (you’ll win on average). If the EV of a raise is better than the EV of a fold, then you should raise. You hold a King of hearts and 2 of spades. The three community cards are 9 of clubs, 7 of clubs, and 6 of diamonds. In this case, the EV of a raise is -1.17 and the EV of a fold is -1.00. In this scenario, Casino Hold'em strategy says you should fold. But if the community cards read the same 9 of clubs, 7 of clubs, and 6 of diamonds, but this time you hold 8 of diamonds and 4 of clubs, the raise EV is -0.37 so the best Casino Hold'em strategy to adopt here is to raise. Do you need a rough idea on how often you should be raising and folding? To maximise the winnings, it is accepted that a player should raise around 82 percent of the time. It makes folding a good choice only 18 percent of the time. Mostly in cases when you hold two unpaired hole cards that have little chance of winning after the first three community cards are dealt. 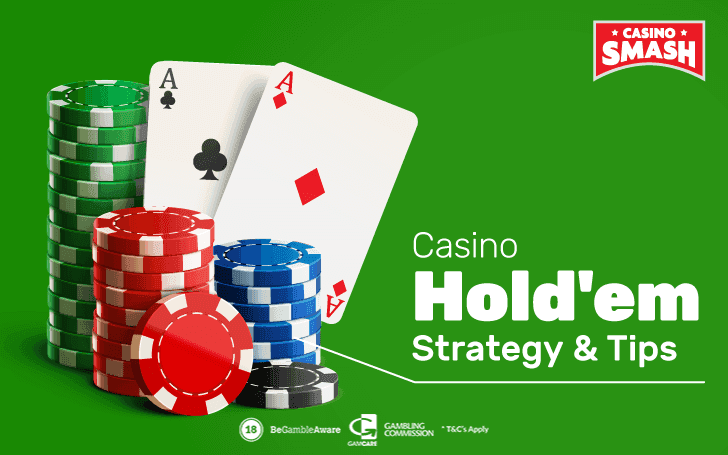 Why do you need to consider an optimal Casino Hold em strategy? It keeps the house edge to around 2-2.5%. And that makes it really low compared to some other table games. Although there are differences in the game, the way to figure out how many cards you can hit and your chances of hitting them, is the same as standard Texas Hold’em Poker games. UK Slots: All the Best Games to Play in 2019!